Our new RPG pricing enables your Barth to be as custom as your work is. The base prices are for the powder-coated hollow steel frame, giving you complete freedom to customize with only the items that match your needs, every step of the way. The RPG frame adds a new level of customization with no top crossbar- you can position the pressing elements or eccentric upper clamping fixtures wherever you need them to be. 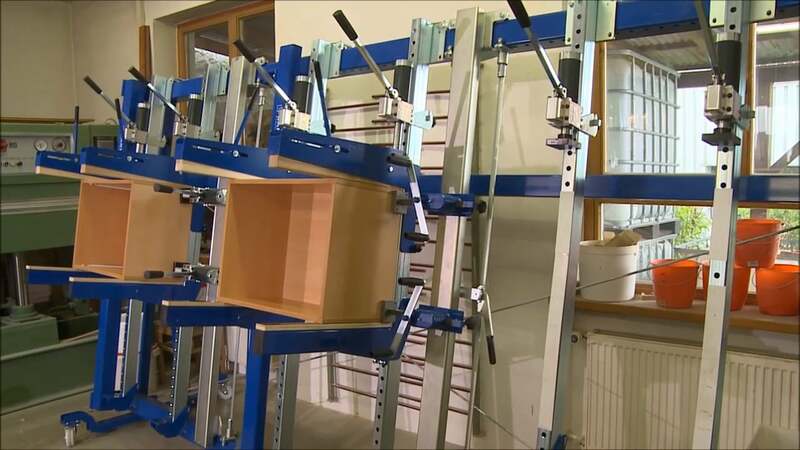 This opens a whole new world of possibilities and uses for your frame press. It's ideal for shops producing highly custom or complex workpieces. Financing is available for Barth press orders. The displayed prices do not include crating and shipping totals. This adds a lateral pressing power to your frame. It comes equipped with two mechanical rack and pinion type pressing units, each able to exert up to 2000lbs of pressure. This adds lateral pressing to your frame, increasing your Multipress capabilities. It comes equipped with two manual hydraulic pressure units, each able to exert up to 2000lbs of pressure. This holding clamp for Barth Multi-Press units exerts depth pressure against work pieces being held on the frame. It attaches to the top and bottom rails of the frame, and is operated by top and bottom hand cranks which are turned to increase or decrease pressure. The RPG's robust base frame and heavy customization options distinguish it among its peers. The RPG can be customized with many additional pressure elements which can be positioned at any height- Your set up can be as unique and complex as the needs of the job. Add additional rack and pinion, manual hydraulic, and eccentric manual hydraulic pressure elements to your RPG to create the ideal setup for your shop. Multipress combined with a perforated backplate for two-in-one functionality.